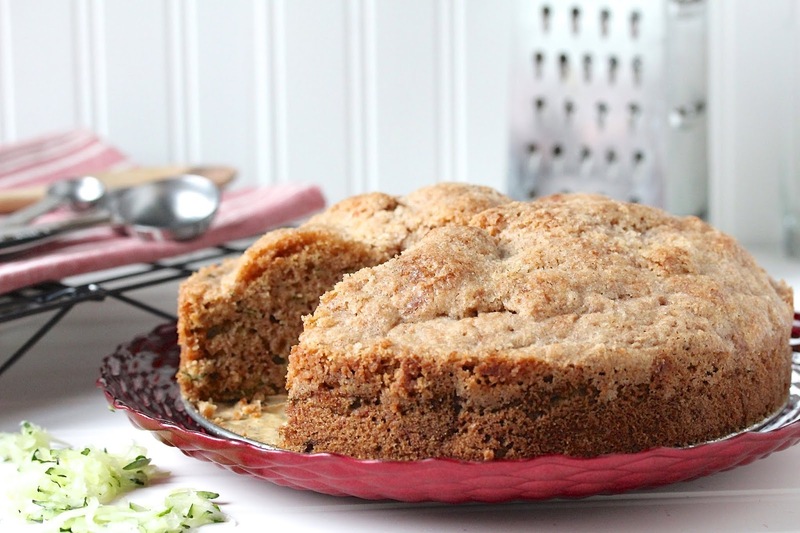 This Zucchini Crumb Cake is aromatic and has a sweet, buttery, and crunchy crumb topping. Not only does it fill the house with a wonderful aroma during baking, but it is also a perfect use of surplus summer zucchini. I have been enjoying garden fresh zucchini lately, thanks to a coworker and friend who supplied me with some from her backyard. This is the first year she and her husband planted a garden (from seedlings might I add), and they have done a phenomenal job! Their zucchinis are ginormous and delicious! One of the things I have been making is this Zucchini Crumb Cake. I'll be the first to admit that dessert is not the best way to eat your veggies, but if you can get a non-zucchini loving person to like it, then it's a keeper. Right? It passed the picky eater test with flying colors. My meat-potato-and-cheese-loving husband said this "is good". He is always honest about my cooking, so I was glad he gave the cake his stamp of approval. My son, who has been on a clean eating diet for months, allowed himself to enjoy it as his cheat item. He managed to devour almost half of it in two days. I'm pretty sure he didn't eat it just to be polite! 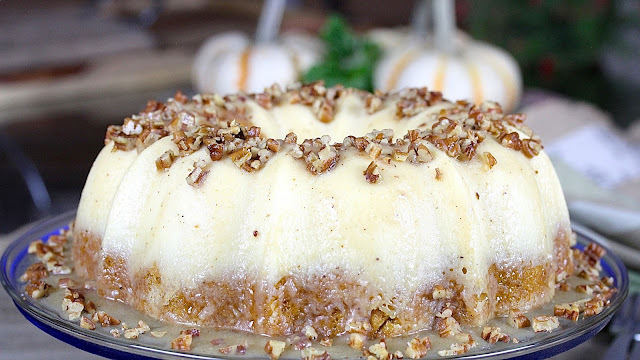 This cake is flavored with cinnamon and a touch of nutmeg and is topped with a thin layer of crunchy, buttery, and sugary crumbs. And how much zucchini is in it? There two full cups, freshly grated and squeezed dried, which practically makes it a vegetable side dish (wink wink)! This is a treat I can indulge without much guilt! Since the cake is baked in a 10-inch springform pan, it will be on the thick side. Therefore, it is important to check for doneness properly. The center will be the last area to bake through. It is there that you need to conduct the toothpick test. When the toothpick comes out with dry crumbs attached, it is done! This is a great cake to keep sitting on the counter. It is perfect as breakfast with a cup of coffee, tea, or milk. It is just the right thing for an afternoon pick-me-up snack or a sweet ending to a lunch or dinner. One thing for sure, it won't sit around long! Preheat oven to 375 degrees F. Prepare a 10-inch springform pan with baking spray. Prepare the crumb topping: combine all topping ingredients in a shallow container. Using a pastry cutter, work the mixture until butter becomes pea size. Alternatively, use hands to work mixture to break up butter into pea size pieces. Chill. Combine flour, baking soda, baking powder, salt, cinnamon, and nutmeg in a small mixing bowl. In a large mixing bowl, combine sugar, eggs, and oil. Beat for 2 minutes on medium high until the mixture becomes thick, smooth, and light. Add vanilla extract. Beat to combine. Add flour mixture, 1/3 at a time, beating until just combined before adding the next 1/3. Add zucchini. Beat until just combined. Pour batter into prepared pan. Spread crumb topping over cake. Bake for 45-55 minutes or until a toothpick inserted into the enter of the cake comes out with a few crumbs attached. Allow to cool slightly before unmolding. * Place shredded zucchini in several layers of paper towels or cheesecloth to squeeze out the water. The center of the cake bakes last. To test for doneness, place a toothpick in the center most point. If it comes out with a few crumbs attached, the cake is done. I'm all about eating my vegetables in dessert LOL! The crumb topping on this sounds just incredible! What a great way to use up the abundance of zucchini! Vegetable dessert, it's the perfect food group! LOL! My parents always grow zucchini in their garden so I have some in my fridge right now. I totally need to make this dessert with it! I love the combo of cinnamon and nutmeg together. Lucky you that your parents are such good gardeners! 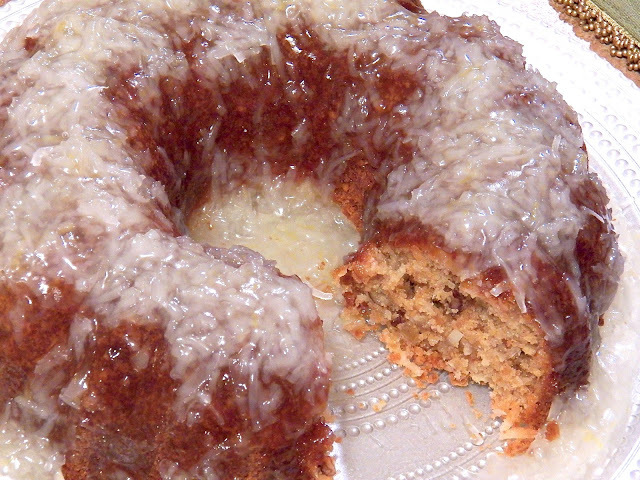 I hope you'll try the cake, especially if you like cinnamon and nutmeg! I absolutely love adding zucchini to baked goods - one, because it adds so much moisture and, two, because I'm practically eating a health food, lol. 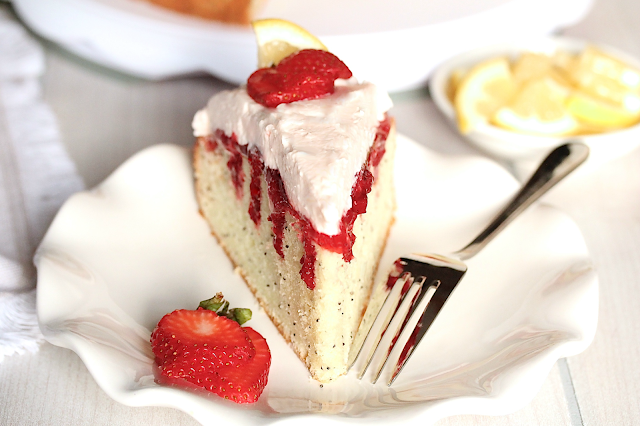 Seriously, though, this cake looks divine, Thao! How good would this be right now slathered in butter with a big cup of coffee? Pretty darn good, if you ask me ;) Happy Friday, friend! Hey! Sweets with veggies is better for you then sweets without, right? That's my story and I'm sticking to it :) I hope you have a wonderful weekend, girlfriend! This would be great for breakfast! And I have sooo many zucchini to use up! The only thing better than a crumb cake is one made with zucchini. 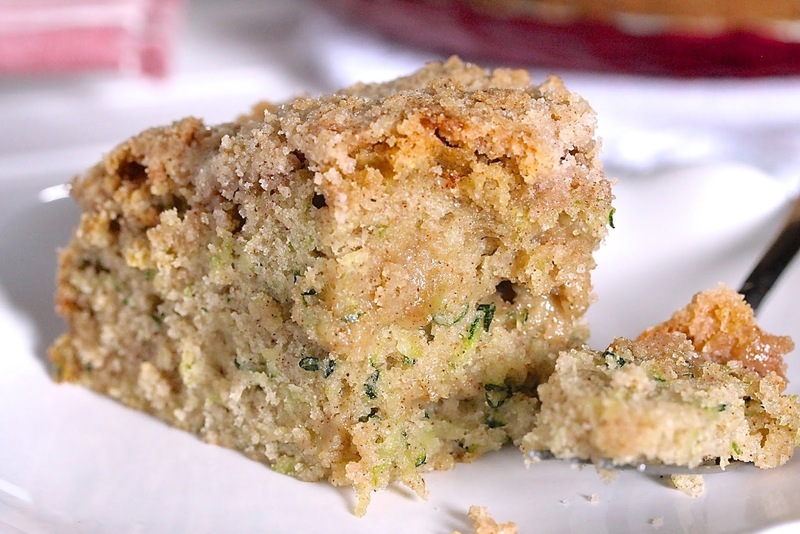 I LOVE zucchini in baked goods! This looks fabulous! I agree Kelsie! Why is zucchini such a good dessert? I don't know, but I'm so glad it is!